This simple billboard in Marshalltown has draw a big response. For the past three weeks, love has been in the air in Marshalltown. The hope is the love will remain there for a few more weeks. 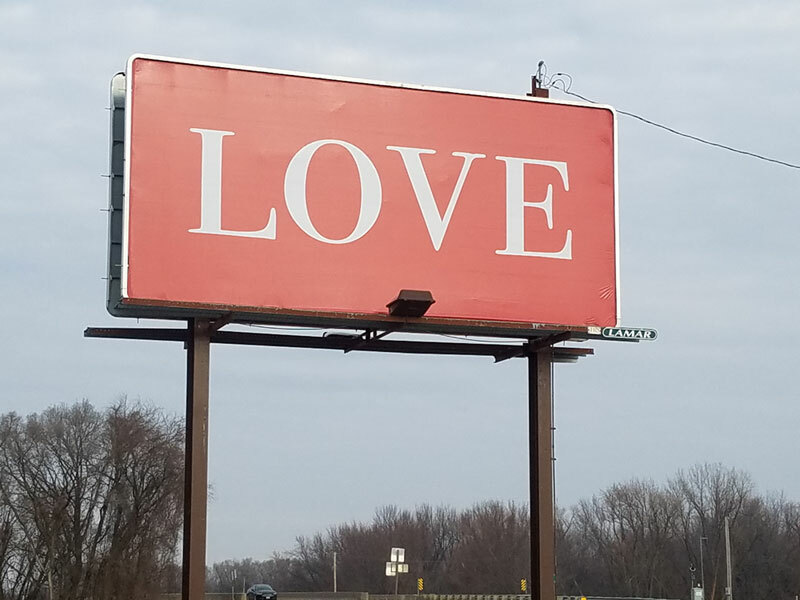 A Marshalltown life coach, came across the idea of putting up a billboard that just says “love” on it, from a colleague in Spokane, Washington. Jody Wunsch thought, why not do that in Marshalltown? She and her husband purchased one billboard for one month, while donations helped put up a second billboard. Three weeks later, Wunsch says the response has been heartwarming. 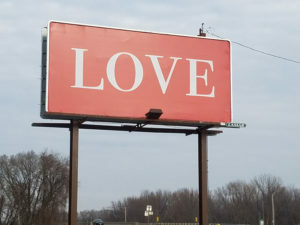 Wunsch is now looking for further help to keep the love billboards up past Christmas Day. The cost of one for an additional 30 days is covered. “We’re working on the second one. One’s definitely going to be up, and we’re hoping we’ll get enough yet to keep the other one up as well,” Wunsch says. A fund has been set up at Home Federal in Marshalltown to receive any “love” donations. Wunsch says if they don’t get enough money to keep the second love billboard in place, the donations will be given to the tornado relief effort in Marshalltown.